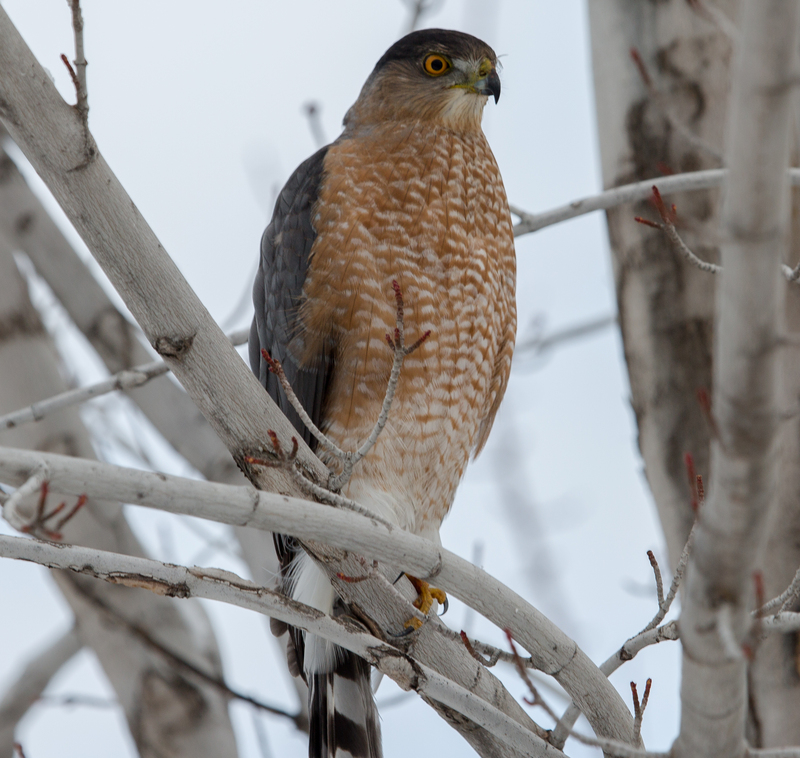 I thought I would start driving around with my camera on me, since I’d been seeing this hawk hanging around our neighborhood in Erie, Colorado quite a bit, and it is often very close-up. 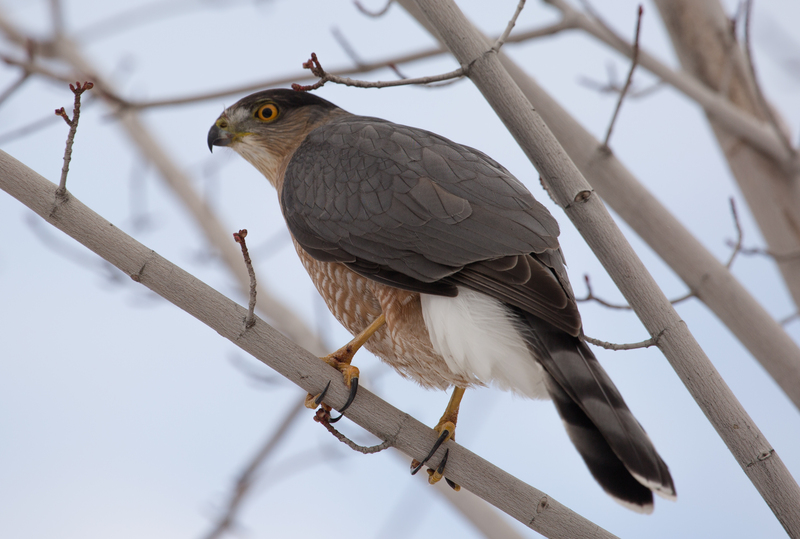 Still, I took my zoom lens (400mm) and sure enough, this one was sitting in a tree in front of a house down the street. It let me walk right up to it, literally 15 feet away to take several photos before jumping off to another tree. The orange eyes are what gets me. They are beautiful.